I might be biased but Old Town Alexandria, VA is my happy place that feels homey to me. This homey feeling is probably because this was the first place I lived after college. My job was in Old Town as well so I guess you could say I really was immersed in everything Old Town. Old Town is 6 miles from the capital so it is not very far at all and can be easily accessed by the GW Parkway, boat from Georgetown (goes back and forth between Old Town and Georgetown on the great Potomac River) and from the Metro blue and yellow line. Personally I love Metro and take it everywhere when I am in the DC area. The King street stop also has a bus that will take you to the end of King Street at the Potomac if you do not feel like walking down to the river. I love the walk down the main drag (King street)! The first section you will come to on King Street has a couple hotels, business offices, a few restaurants, and antique stores. The next area starts to increase in restaurants, art galleries and shops till you get to the river and the Torpedo Factory. While King street is the main drag I encourage everyone to meander a few blocks off just east of GW Parkway also known in that areas as Washington Street to see the beautiful old row homes with their charming gas lanterns. Simply stunning! One could spend a weekend in Old Town and not even see all the great historic and beautiful things in Old Town. For more information go to their website to plan your trip. I am now going to share a few of my favorite places in Old Town. Nothing fancy here but for some reason a sandwich made by someone else tastes so good! They also have good soups and the cookie bars at the checkout are a must have! Husband and wife chefs who make some great sandwiches and food in general. My office even had them cater our Holiday dinner. 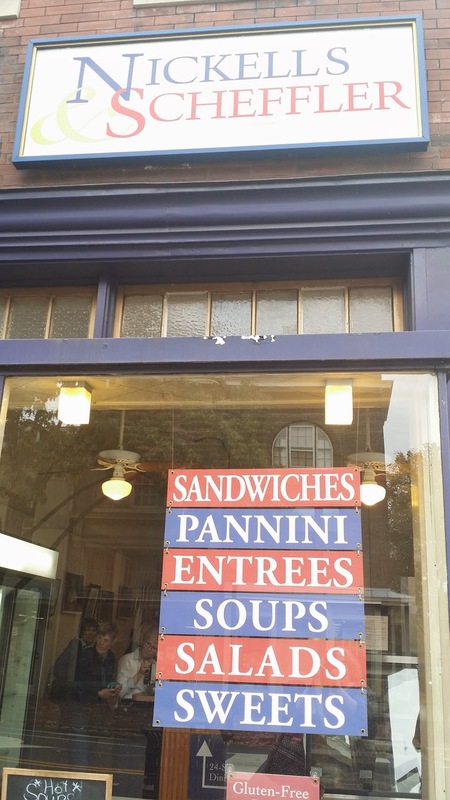 My go to food is their ham and cheese panini with chutney and the amazing espresso brownie! I cannot even explain how good their brownie is it is that good! Think gooey middle and crisp shell... yum! Delicious homemade ice cream! You can get a variety of old school shakes and drinks but their sundaes are amazing and huge a must try! 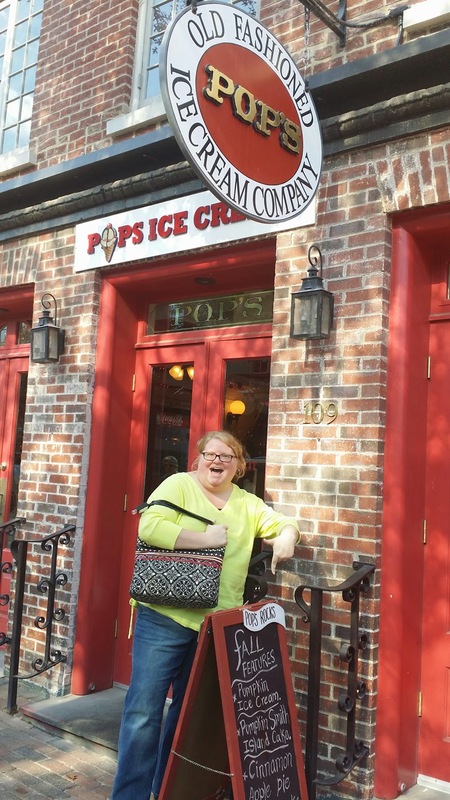 I also love the seasonal ice creams like peppermint and my favorite pumpkin. Next door to Pop's and actually the same owners there may be more tourists here than in other restaurants but their New England Clam Chowder, Crab Soup, Hot Crab Dip, and Hushpuppies are me picks. People love their oysters but I dislike oysters so I stay away. You can also order Pop's ice cream from your seat as well.